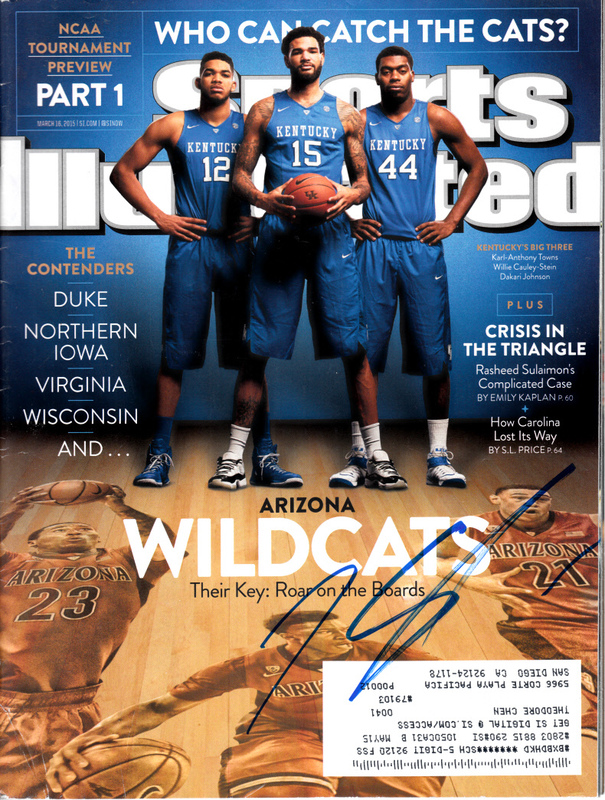 Complete 2015 NCAA Tournament preview issue of Sports Illustrated autographed in blue marker by former Kentucky Wildcats superstar Karl-Anthony Towns. Obtained in person, with certificate of authenticity from AutographsForSale.com. Has minor to moderate flaws and wear. ONLY ONE AVAILABLE FOR SALE.